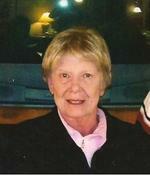 Linda S. Larkey age 69, of Ashland, passed away Thursday January 19, 2012 at the Hospice House. She was born on March 17, 1942 in Lodi, the daughter of Thomas and Bernadine (Swartz) Pifer. Linda had lived most all of her life in Ashland County where she was a Homemaker, her dream was to provide for her friends and family. She was a member of the Eastern Stars in West Salem. Linda was an animal lover especially her dogs, Duke, Ginger, and Ruby Sue. Her true love was for the outdoors, she enjoyed camping, fishing, and gardening. She also enjoyed traveling, shopping and spending the day in her kitchen cooking which she had a special knack for. On June 29, 1964 Linda married Gary Larkey who survives. Other survivors include her son and daughter in-law, Jim and Jennifer Larkey of Akron; her daughter, Kimberly Larkey of Columbus; granddaughters, Maris Larkey and Mackenzie Larkey both of Akron; her sister and brother in-law, Cindy and Joe Scott of Ashland; along with her brothers and sisters in-law, Steve and Diane Pifer of Raleigh, N.C., and Tom and Nancy Pifer of Montgomery, AL. She was preceded in death by her parents, step- father Harold Decker, an infant daughter, and her brother Rusty Pifer. Funeral Services will be held at the Heyl Funeral Home on Monday January 23, 2012 at 11:00 A.M. with Pastor Darryl Moulder and Steve Pifer officiating. Burial will follow at the Southview Cemetery in Sullivan. Friends may visit with the family on Sunday January 22, 2012 from 3 to 5:00 P.M. at the funeral home. The family suggests memorial contributions may be made to Hospice of North Central Ohio, 1050 Dauch Dr., Ashland Ohio 44805.